To inform them of FXCM's desire to reach agreement on a transaction that would create the industry leader in online FX trading. FXCM believes that the substantial potential operating and capital synergies between the two companies would result in an accretive deal with a strong growth profile and improved economies of scale. Additionally, FXCM believes customers of both FXCM and Gain will greatly benefit from the expected improvement of financial strength and stability of the combined entity. This proposed merger is the highest priority for FXCM, and we hope that Gain is as excited as we are about the potential a combined company could have. FXCM are holding a conference call at 8:15 a.m. (EST) this morning to reinforce their message. Do you suppose GAIN's shareholders will find the bait sufficiently tempting? 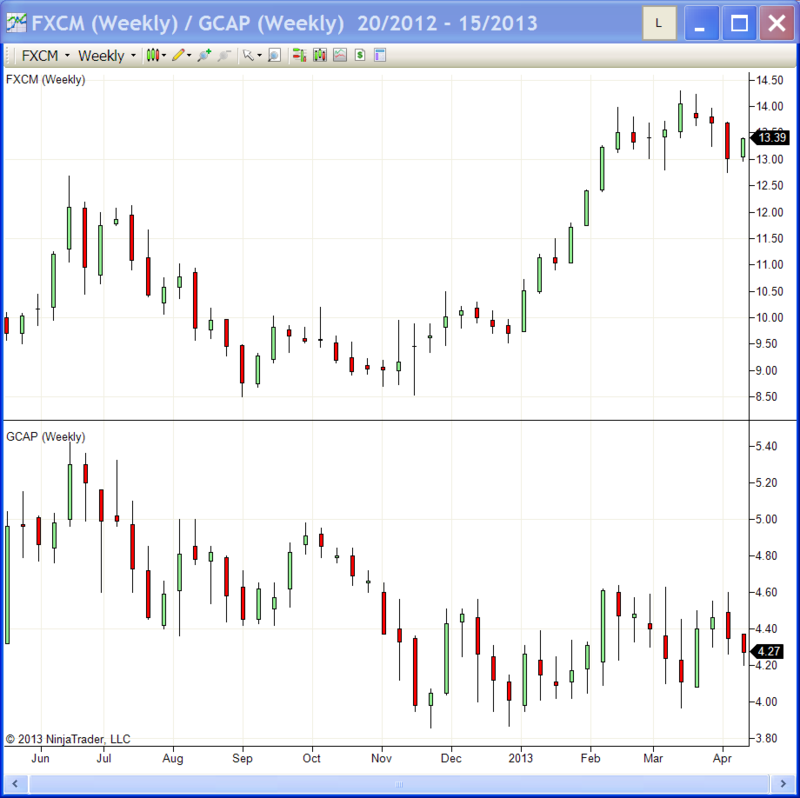 FXCM on the Acquisitions Trail After IPO? Details of FXCM's presentation to investors is now linked to above. Its Board of Directors has adopted a stockholder rights plan. The rights plan is designed to reduce the likelihood that a potential acquirer would gain control of the Company by open market accumulation or other tactics without paying an appropriate premium for all of the company's shares.